Since 2012, Under Armour has held its annual Future Show competition, inviting entrepreneurs, inventors and companies to present with the intention of breathing life into the brand’s innovation. Out of approximately 4,000 entries for this year’s event in early October, only 20 were chosen to present. 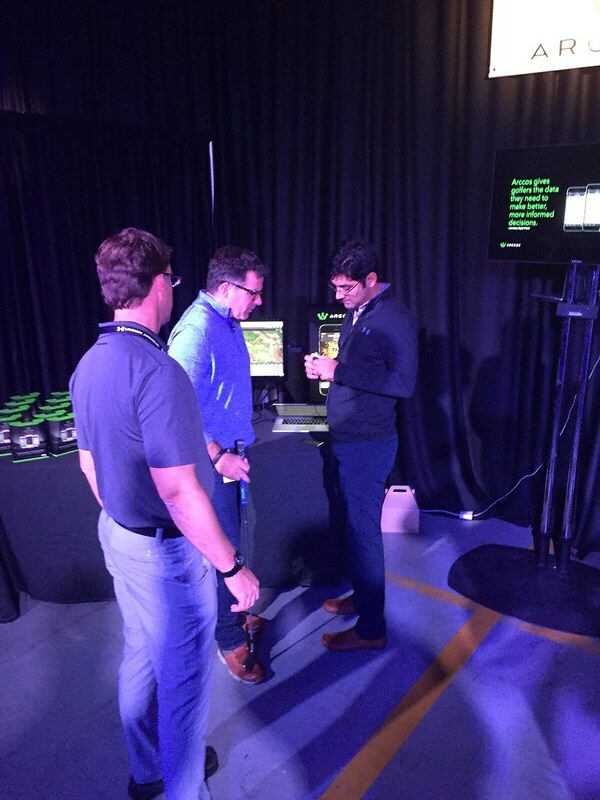 Arccos Golf was invited by Under Armour to attend. The show features companies and products in a trade show-style exhibition. Under Armour employees take in the general presentations from the attendees before voting on a group of finalists. The five finalists then present to a group of Under Armour executives, which included CEO Kevin Plank. Arccos was the only golf product featured at the show and for Syed, that validates the brand’s mission. “We believe that we’re taking golf to the next frontier,” he said. “The Future Show showcased the best of the best and Arccos was one of them. Arccos was among the five finalists. Virginia-based RaesWear won for its line of active apparel made with an internal pouch to hold personal items like mobile phones, money and credit cards. “I think one of the biggest things we learned was that there are more people than we realized that need functional wear,” said Leigh Cockram, founder of RaesWear. “Whether it’s a man wearing compression shorts during a workout or a golfer needing a place for his phone, people can use it. Currently, RaesWear’s line of fitness apparel is geared towards women but Cockram sees the potential for golf-inspired products in the future.